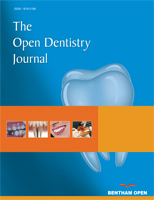 This case report describes the orthodontic management of a 10-year-old female with Silver-Russell syndrome by means of gradual expansion of the mandibular dental arch using removable appliances and subsequent comprehensive treatment of malocclusion by means of fixed appliances. © Ioannidou-Marathiotou et al. ; Licensee Bentham Open.